Sergio Muñoz Sarmiento is an artist who practices art law. He is interested in the relationship between contemporary art and law, with a primary focus on copyright, moral rights, free speech, deaccessioning, art foundations and nonprofit arts organizations. He currently has his own private practice, The Law Office of Sergio Muñoz Sarmiento, and teaches contemporary art and law at Fordham Law School. In 2010 he founded The Art & Law Program, the first residency of its kind, as well as the Art Law School, a lecture series on legal issue for artists. He received his BA in Art from the University of Texas-El Paso and an MFA in Art from the California Institute of the Arts. He was a Van Lier Fellow at the Whitney Museum of American Art’s Independent Study Program in Studio Art in 1997-98, and received his J.D. from Cornell Law School in 2006. Sarmiento has taught in a number of universities and art schools, including NYU, Harvard University, the University of Southern California, University of California-Irvine, Occidental College, CalArts, Hofstra University, and Brooklyn Law School. 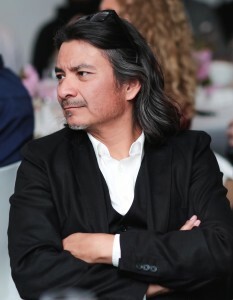 His art projects have been shown in international exhibitions, including Mexico, Germany, and Spain, and nationally in Dallas, New York City, and Los Angeles. A selection of his art projects may be viewed on Clancco’s Projects page. For more information on his writings, please click here. For a list of upcoming lectures, please click here. His CV may be accessed here.